Your home’s roof is one of the most fundamental aspects of the property as a whole and ensuring that it is strong, reliable, and precisely crafted to your perfect look from the very beginning is the best way to ensure that it stays that way for decades of happiness to come. 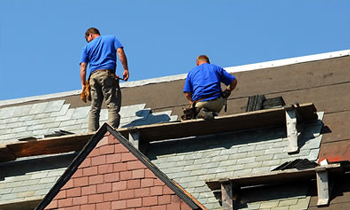 For just that reason, roof installations in Columbus, OH should always be performed by the most specialized, committed roofing contractors Columbus, OH has to offer. And the only place to find those contractors are right here at Next Level Exteriors. The Next Level Exteriors team of roofing installation contractors in Columbus, OH have spent years training themselves in the most modern and innovative Columbus roof installation techniques, while also ensuring that they’re equipped with the most up-to-date and proven materials and equipment. This helps to ensure that when you’re in need of a new roof installation in Columbus, OH you can be completely confident about turning to Next Level Exteriors for your home’s new roofing system. Whether you’re in the process of building your family’s dream home or are replacing your existing roof with a brand new roof installation in Columbus, OH to replace the damaged or unsightly existing structure there’s no better time than now to get in touch with the experienced Columbus roofing installation contractors here at Next Level Exteriors. Today, we at Next Level Exteriors are proud to offer every homeowner interested in roof installation in Columbus, OH a free at-home consultation and estimate for all service options. To schedule yours simply call our friendly and knowledgeable representatives at (614) 423-6787.